Let’s talk about transmission coolers and engine oil coolers for just a minute. I’m sure you’ve seen people parked on the side of the road with steam rolling out of their engine. You felt sorry for them right? Well, when you tow, your transmission operates at it’s maximum level. Towing puts extra strain on your engine and transmission, causing them to run at a much hotter temperature. To avoid becoming one of those unfortunate people on the side of the road, you should seriously consider at the very least, a trans-cooler and if possible, an engine oil cooler as well. Since excessive heat is your transmission’s worst enemy, a trans-cooler is an ideal and often necessary towing accessory. 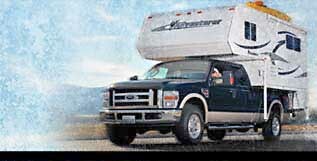 Long trips, hill climbing and towing larger trailers are especially hard on your transmission. Hot transmission fluid running through the cooling system causes 50% of all radiator boilovers. When oil temperatures exceed 200 degrees F., oil breaks down causing seals to crack and leaks to occur. Every 20-degree drop in oil temperature will double oil life! So what does the trans-cooler do that’s so great for your transmission? I’m glad you asked. A transmission cooler will protect your radiator by reducing the temperature of transmission fluid by as much as 80 degrees! The fluid constantly passes through a series of air cooled tubes before re-entering your transmission. The engine oil cooler functions much the same way. You can purchase these two types of coolers separately or together. You should also check your engine oil regularly throughout your trip. Transmission and engine oil coolers are necessary for many towing operations and a good idea for everyday use! Towing causes heat which kills engines and transmissions. Almost all premature transmission failures are caused by excessive heat! Hayden's exclusive Inner-Swirl Design extracts more heat than any other cooler. A very smart investment which can double the life of your transmission! 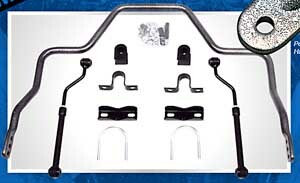 Eyers Trailer Hitch Center installs overload and helper springs, airbags and anti-sway bars by Hellwig to enable you to carry heavier loads without sagging in the rear. Eyers also installs Firestone airbags. More about these products at www.hellwigproducts.com. The other option for load assist is to install airbag suspension on your existing vehicle's suspension. The advantage to the airbags over the leaf springs is you have control over the amount of air that is pumped into the bags. With overload leaf springs, your ride will be much stiffer - all the time. With airbags, you can adjust the air pressure and get your comfortable ride back when you are not carrying a heavy load. Before and After Video from melhellwig on Vimeo. Perhaps your concern is feeling a sickening body roll swaying feeling whenever you go around curves on the road. 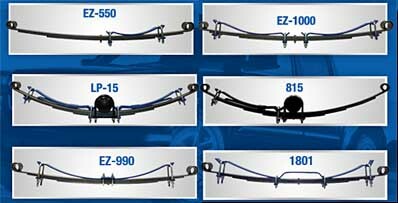 We also install Hellwig anti-sway bars that are installed under your tow vehicle. Sway bars reduce body roll so you benefit from better vehicle control with greatly improved cornering traction for safer driving and cornering capabilities. Hellwig Sway Bars give the vehicle that “extra” performance edge without sacrificing comfort.